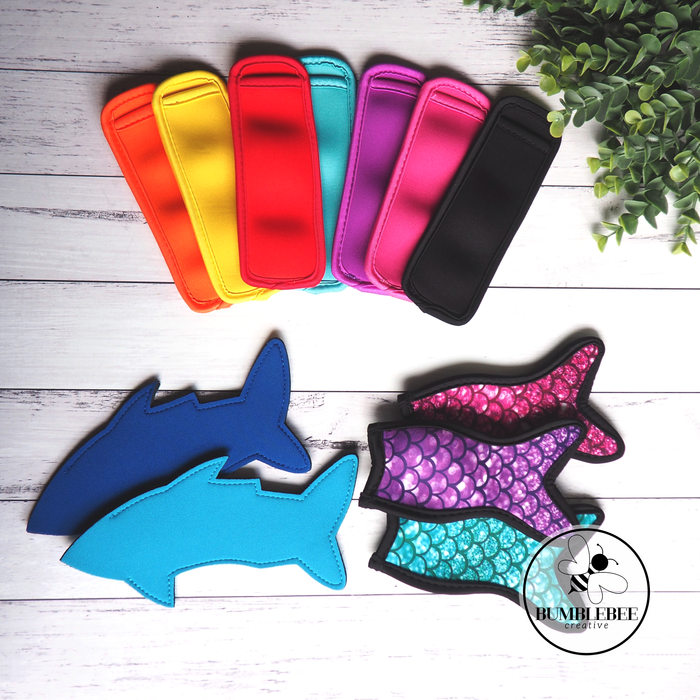 Say goodbye to freezing cold fingers with these neoprene icy pole holders. 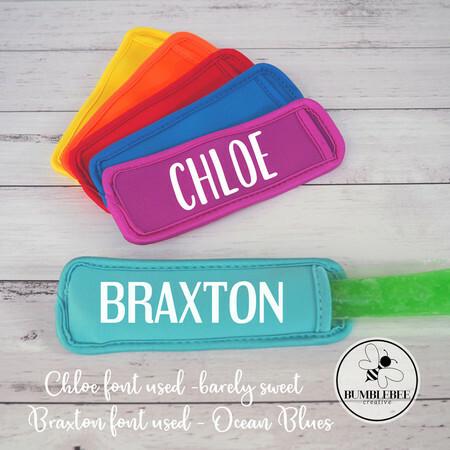 Slide your icy pole, zooper dooper or frozen yogurt tube into the holder and enjoy a cold treat without freezing your fingers! 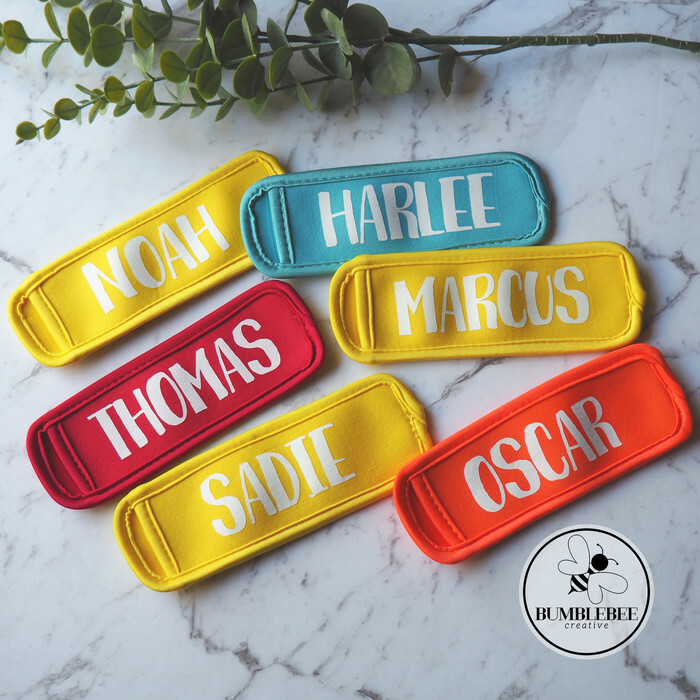 The name on this holder is applied with white HTV and a Heat Press. 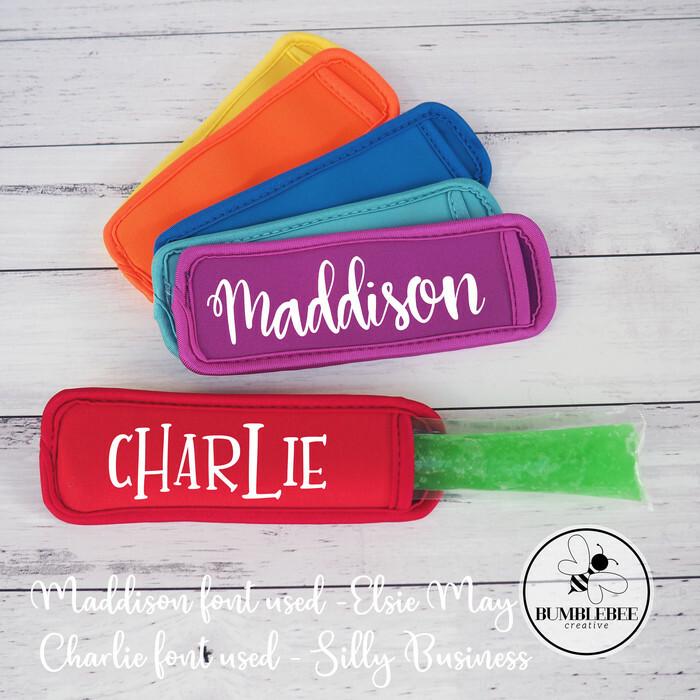 To complete your order I will need, chosen icy pole holder colour, name, and font. Hi, thank you for supporting my handmade business. 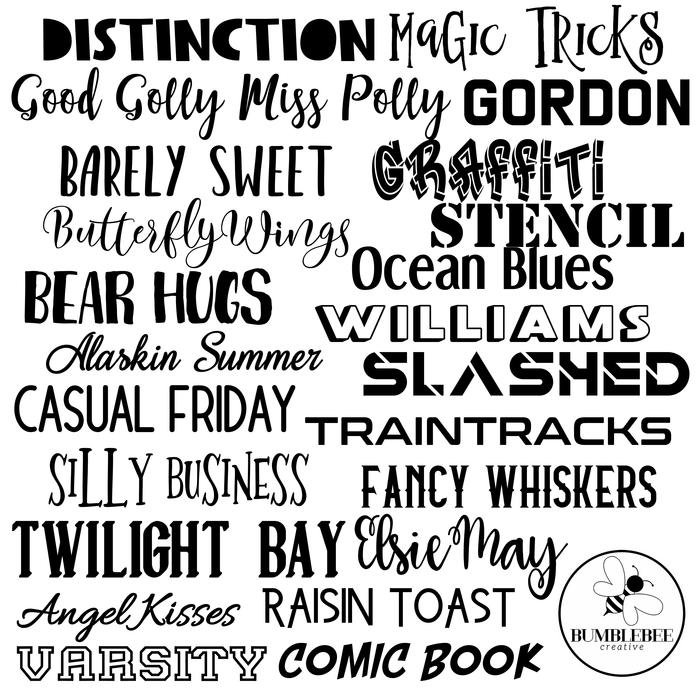 To complete your order I will need, chosen icy pole holder style/colour, name and font style.